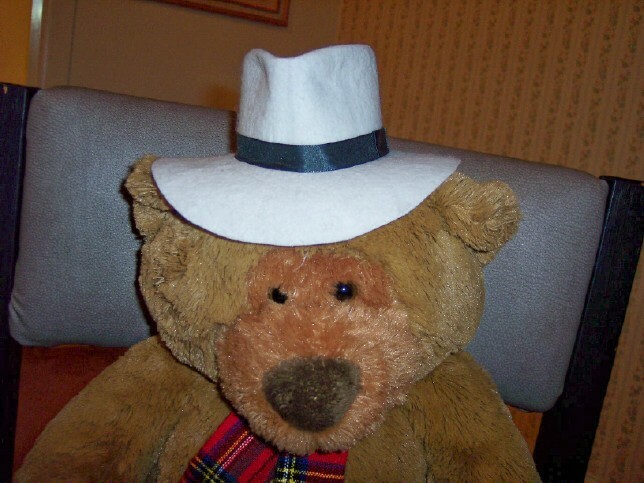 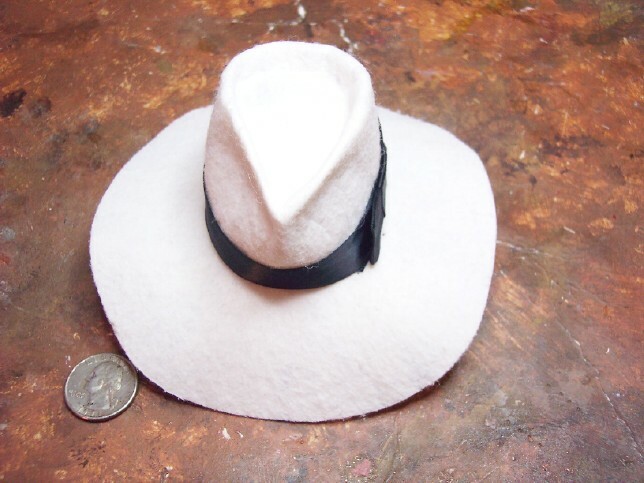 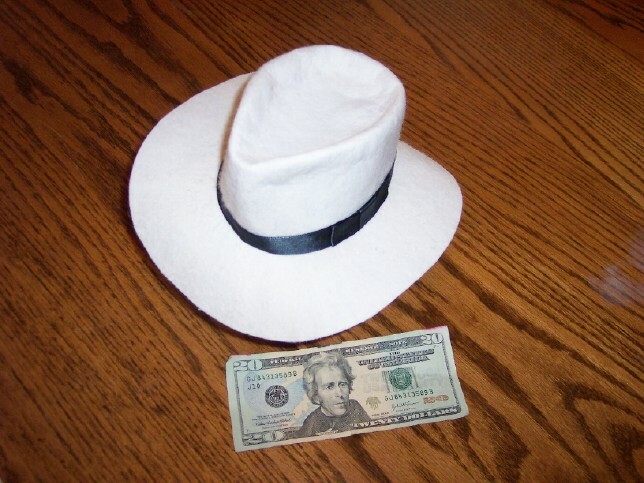 I can make them any size and style, from Fedoras,Cowboy hats, Stalkers, Packers, and more in several colors..black, brown, tan, white, creme,... you will need to give me pretty precise measures to fit your doll, if ears are to be pulled through the brim I need a template... 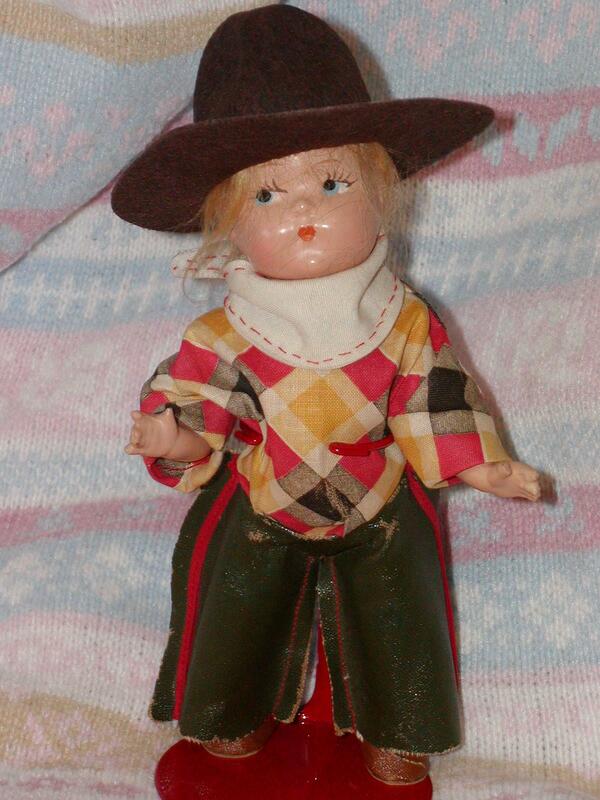 I can't guaranatee it will fit your doll, but I will work with you to make it right. 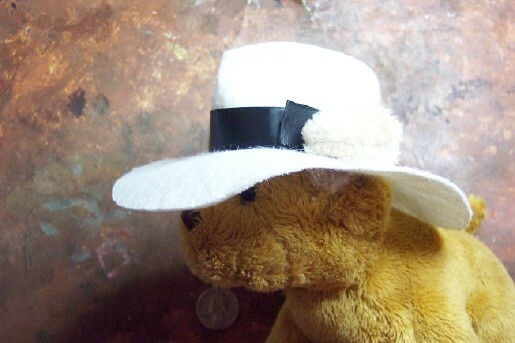 CONTACT ME FOR YOUR CUSTOM DOLL HAT! 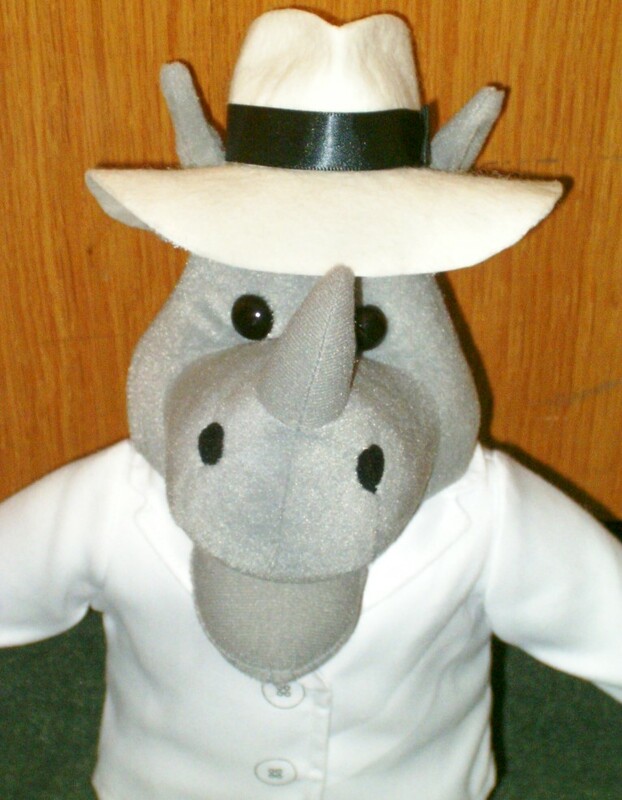 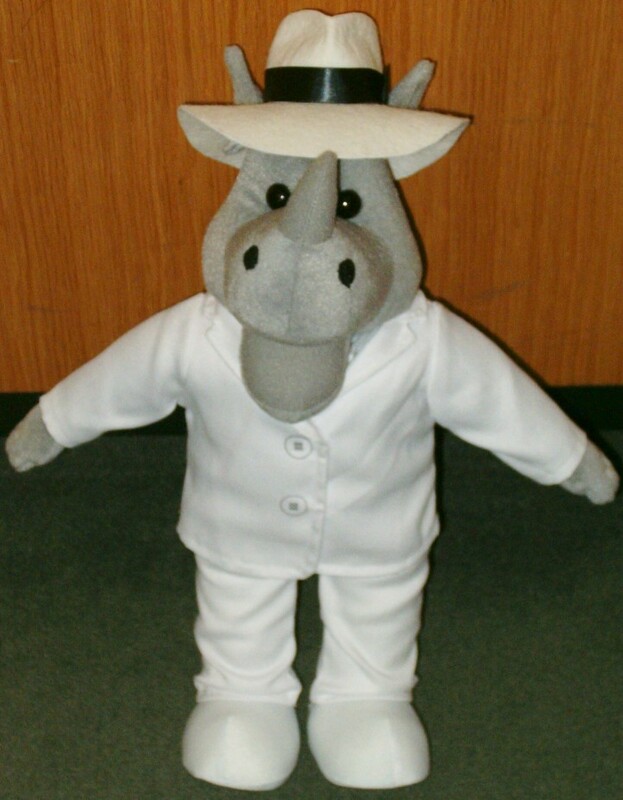 SATISFIED CUSTOMER, RAY THE RHINO from the RAYTONES! 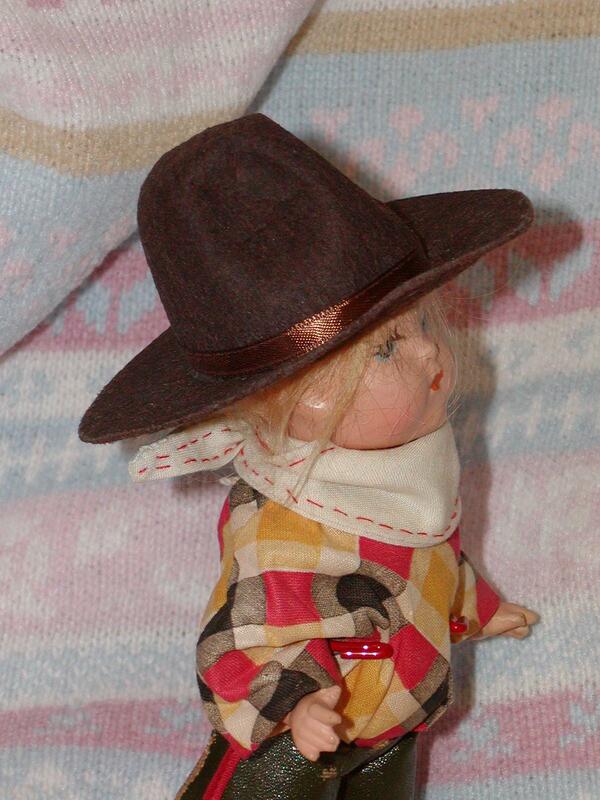 New hat for this Antique Cowboy Doll!